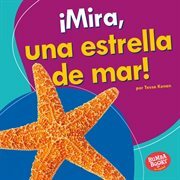 The instance Â¡Mira, una estrella de mar!, por Tessa Kenan, (electronic resource) represents a material embodiment of a distinct intellectual or artistic creation found in Richland Library. This resource is a combination of several types including: Instance, Electronic. Â¡Mira, una estrella de mar!